I'm starting a new training series for my Patreon feed, it's called "Intro to Redshift" for visual effects. I'm kind of learning Redshift and trying to figure out how to use it within my visual effects workflow, and I'll be sharing this trip with you. In this very first episode, I'll be talking about probably the most important topics around Redshift and the base for everything that will come later global illumination and sampling. I will go deep about these two topics, sharing with you the basic theory behind global illumination and sampling, and I will also share with you a couple of "cheat sheets" to deal with noise and gi easily in Redshift while rendering your shots. Check the first video out on my Patreon feed. In this video I talk about the usage of Houdini as scene assembler. This topic will be recurrent in future posts, as Houdini is becoming a very popular tool for look-dev, lighting, rendering and layout, among others. In this case I go trhough bundles, takes and rops and how we use them while lighting shots in visual effects projects. I've been working on the reconstruction of this fancy environment in Hackney Wick, East London. The idea behind this exercise was recreating the environment in terms of shape and volume, and then project HDRIs on the geometry. Doing this we can get more accurate lighting contribution, occlusion, reflections and color bleeding. Much better environment interaction between 3D assets. Which basically means better integrations for our VFX shots. I tried to make it as simple as possible, spending just a couple of hours on location. The first thing I did was drawing some diagrams of the environment and using a laser measurer cover the whole place writing down all the information needed for later when working on the virtual reconstruction. Then I did a quick map of the environment in Photoshop with all the relevant information. Just to keep all my annotations clean and tidy. With drawings and annotations would have been good enough for this environment, just because it's quite simple. But in order to make it better I decided to scan the whole place. Lidar scanning is probably the best solution for this, but I decided to do it using photogrammetry. I know it takes more time but you will get textures at the same time. Not only texture placeholders, but true HDR textures that I can use later for projections. I took around 500 images of the whole environment and ended up with a very dense point cloud. Just perfect for geometry reconstruction. For the photogrammetry process I took around 500 shots. Every single one composed of 3 bracketed exposures, 3 stops apart. This will give me a good dynamic range for this particular environment. Combined the 3 brackets to create rectilinear HDR images. Then exported them as both HDR and LDR. The exr HDRs will be used for texturing and the jpg LDR for photogrammetry purpose. Also did a few equirectangular HDRIs with even higher dynamic ranger. Then I projected these in Mari using the environment projection feature. Once I completed the projections from different tripod positions, cover the remaining areas with the rectilinear HDRs. These are the five different HDRI positions and some render tests. The next step is to create a proxy version of the environment. Having the 3D scan this so simple to do, and the final geometry will be very accurate because it's based on photos of the real environment. 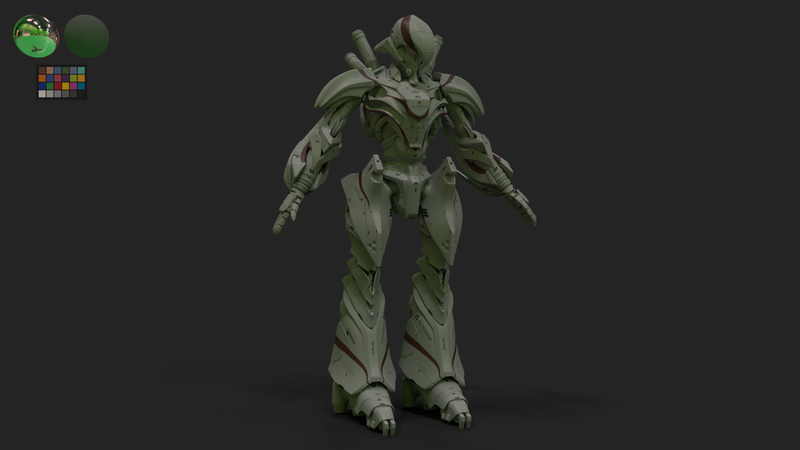 You could also do a very high detail model but in this case the proxy version was good enough for what I needed. Then, high resolution UV mapping is required to get good texture resolution. Every single one of my photos is 6000x4000 pixels. The idea is to project some of them (we don't need all of them) through the photogrammetry cameras. This means great texture resolution if the UVs are good. We could even create full 3D shots and the resolution would hold up. After that, I imported in Mari a few cameras exported from Photoscan and the correspondent rectilinear HDR images. Applied same lens distortion to them and project them in Mari and/or Nuke through the cameras. Always keeping the dynamic range. Finally exported all the UDIMs to Maya (around 70). 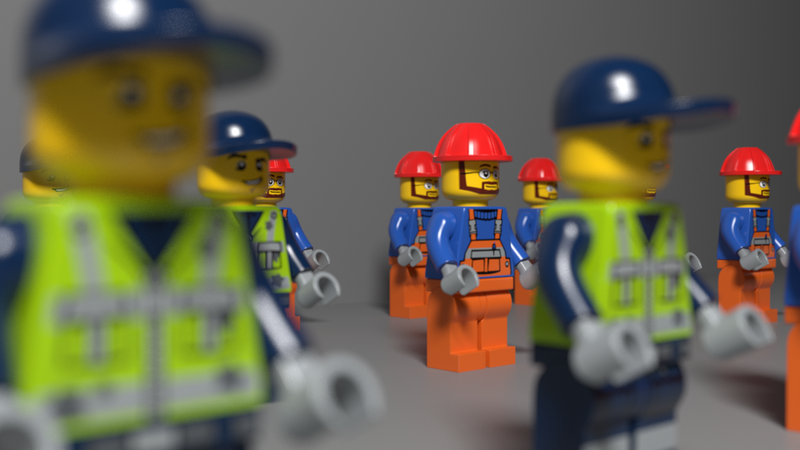 All of them 16 bit images with the original dynamic range required for 3D lighting. After mipmapped them I did some render tests in Arnold and everything worked as expected. I can play with the exposure and get great lighting information from the walls, floor and ceiling. Did a few render tests with this old character. As you probably know Arnold manages subdivision individually per object. There is no way to subdivide multiple objects at once. Obviously if you have a lot of different objects in a scene going one by one adding Arnold's subdivision property doesn't sound like a good idea. This the easiest way that I found to solve this problem and subdivide tons of objects at once. This is the character that I want to subdivide. As you can see it has a lot of small pieces. I'd like to keep them separate and subdivide every single one of them. First of all, you need to select all the geometry shapes. To do this, select all the geometry objects in the outliner and paste this line in the script editor. Once all the shapes are selected go to the attribute spread editor. Just type the subdivision method and iterations. This is it, the whole character is now subdivided. This is a very quick overview of how to use AOVs in Clarisse. I started from this very simple scene. Select your render image and then the 3D layer. Open the AOV editor and select the components that you need for your compositing. In my case I only need diffuse, reflection and sss. Click on the plus button to enable them. Now you can check every single AOV in the image view frame buffer. Create a new context called "compositing" and inside of it create a new image called "comp_image". Add a black color layer. Add an add filter and texture it using a constant color. This will be the entry point for our comp. Drag and drop the constant color to the material editor. 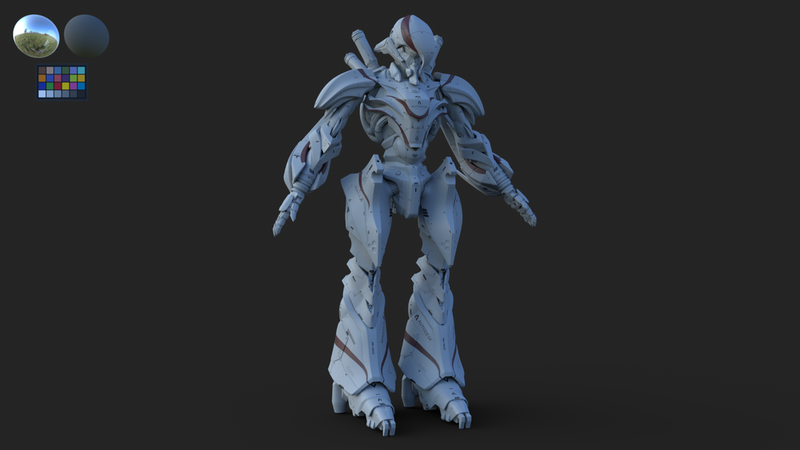 Drag and drop the image render to the material editor. If you connect the image render to the the constant color input, you will see the beauty pass. Let's split it into AOVs. Rename the map to diffuse and select the diffuse channel. Repeat the process with all the AOVs, you can copy and paste the map node. Add a few add nodes to merge all the AOVs until you get the beauty pass. This is it, your comp in a real time 3D environment. Whatever you change/add in you scene will be updated automatically. Lets say that you don't need your comp inside Clarisse. Fine, just select your render image, configure the output and bring the render manager to output your final render. Just do the comp in Nuke as usual. This is a very quick guide to set-up Zbrush displacements in Clarisse. 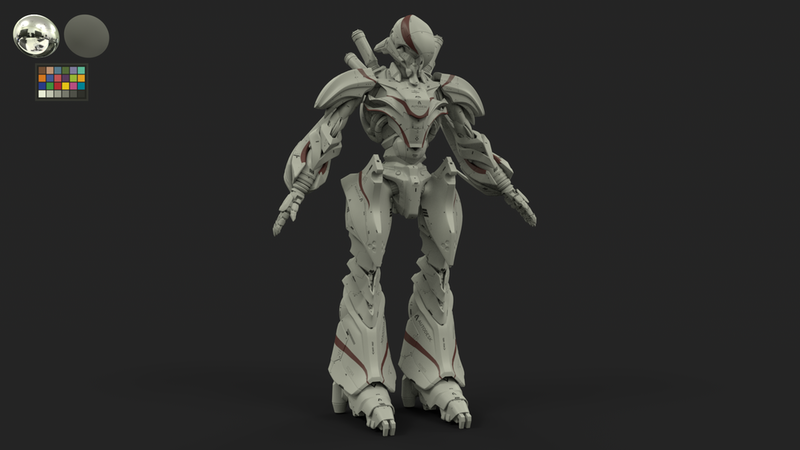 As usually, the most important thing is to extract the displacement map from Zbrush correctly. To do so just check my previous post about this procedure. Once your displacement maps are exported follow this mini tutorial. In order to keep everything tidy and clean I will put all the stuff related with this tutorial inside a new context called "hand". 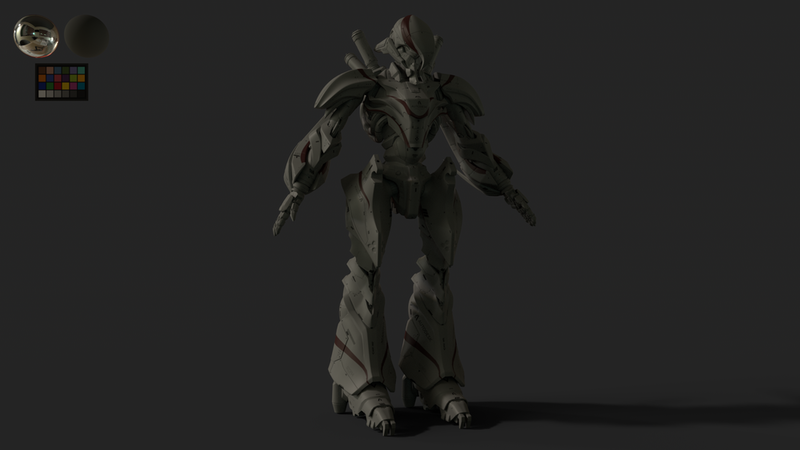 In this case I imported the base geometry and created a standard shader with a gray color. I'm just using a very simple Image Based Lighting set-up. Then I created a map file and a displacement node. Rename everything to keep it tidy. Select the displacement texture for the hand and set-up the image to raw/linear. (I'm using 32bit .exr files). In the displacement node set the bounding box to something like 1 to start with. Add the displacement map to the front value, leave the value to 1m (which is not actually 1m, its like a global unit), and set the front offset to 0. Finally add the displacement node to the geometry. That's it. Render and you will get a nice displacement. If you are still working with 16 bits displacement maps, remember to set-up the displacement node offset to 0.5 and play with the value until you find the correct behaviour. First attempt to create a shader that looks like rough 2D sketches. I will definitely put more effort on this in the future. I'm pretty much combining three different pen strokes. I will continue writing about my experiences working with Clarisse. This time I'm gonna talk about working with layers and passes, a very common topic in the rendering world no matter what software you are using. Clarisse allows you to create very complex organization systems using contexts, layers/passes and images. In addition to that we can compose all the information inside Clarisse in order to create different outputs for compositing. Clarisse has a very clever organization methods for huge scenes. For this tutorial I'm going to use a very simple scene. The goal is to create one render layer for each element of the scene. At the end of this article we will have foreground, midgrodund, backgorund, the floor and shadows isolated. At this point I have an image with a 3DLayer containing all the elements of the scene. I've created 3 different contexts for foreground, midground and background. Inside each context I put the correspondent geometry. Inside each context I created an empty image. I created a 3DLayer for each image. We need to indicate which camera and renderer need to be used in each 3DLayer. We also need to indicate which lights are going to be used in each layer. At this point you probably realized how powerful Clarisse can be for organization purposes. In the background context I'm rendering both the sphere and the floor. In the scene context I've created a new image. This image will be the recipient for all the other images created before. In this case I'm not creating 3DLayers but Image Layers. In the layers options select each one of the layers created before. I put the background on the bottom and the foreground on the top. We face the problem that only the sphere has working shadows. This is because there is no floor in the other contexts. In order to fix this I moved the floor to another context called shadow_catcher. I created a new 3DLayer where I selected the camera and renderer. I created a group with the sphere, cube and cylinder. 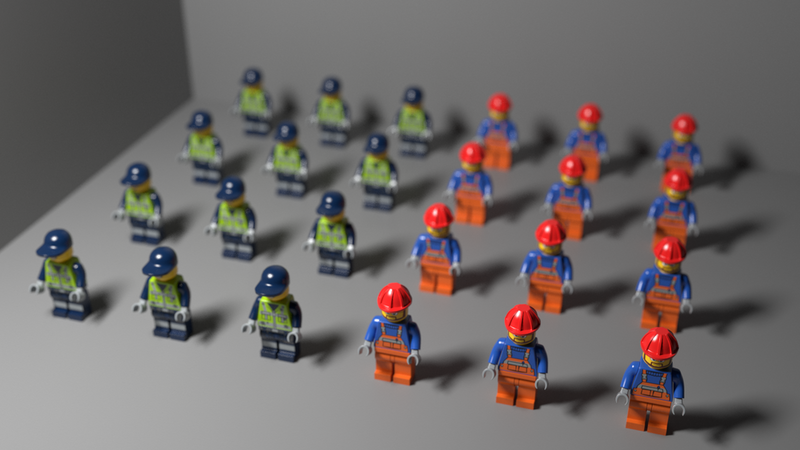 I moved the group to the shadows parameter of the 3DLayer. In the recipient image I place the shadows at the bottom. That's it, we have shadows working now. Oh wait, no that fast. If you check the first image of this post you will realize that the cube is actually intersecting the floor. But in this render that is not happening at all. This is because the floor is not in the cube context acting as matte object. To fix this just create an instance of the floor in the cube context. In the shading options of the floor I localize the parameters matte and alpha (RMB and click on localize). At this point everything is working fine, but we have the floor and the shadows together. Maybe you would like to have them separated so you can tweak both of them independently. To do this, I created a new context only with the floor. In the shadows context I created a new "decal" material and assigned it to the floor. In the decal material I activated receive illumination. And finally I added the new image to the recipient image. When you work for a big VFX or animation studio you usually light your shots with different complex light rigs, often developed by highly talented people. But when you are working at home or for small studios or doing freelance tasks or whatever else.. you need to simplify your techniques and tray to reach the best quality as you can. For those reasons, I have to say that I’m switching from Mental Ray to V-Ray. One of the features that I most love about V-Ray is the awesome dome light to create image based lighting setups. Let me tell you a couple of thing which make that dome light so great. First of all, the technical setup is incredible simple. Just a few clicks, activate linear workflow, correct the gamma of your textures and choose a nice hdri image. Is kind of quick and simple to reduce the noise generated by the hdri image. Increasing the maximum subdivisions and decreasing the threshold should be enough. Something between 25 to 50 or 100 as max. subdivision should work on common situations. And something like 0.005 is a good value for the threshold. The render time is so fast using raytracing stuff. Even using global illumination the render times are more than good. Displacement, motion blur and that kind of heavy stuff is also welcome. Another thing that I love about the dome light using hdri images is the great quality of the shadows. Usually you don’t need to add direct lights to the scene. If the hdri is good enough you can match the footage really fast and accurately enough. The dome light has some parameters to control de orientation of your hdri image and is quite simple to have a nice preview in the Maya’s viewport. In all the renders that you can see here, you probably realized that I’m using an hdri image with “a lot” of different lighting points, around 12 different lights on the picture. In this example I put a black color on the background and I changed all the lights by white spots. It is a good test to make a better idea of how the dome light treats the direct lighting. And it is great. The natural light is soft and nice. On the other hand, I don’t like doing look-dev with the dome light. Is really really slow, I can’t recommend this light for that kind of tasks. 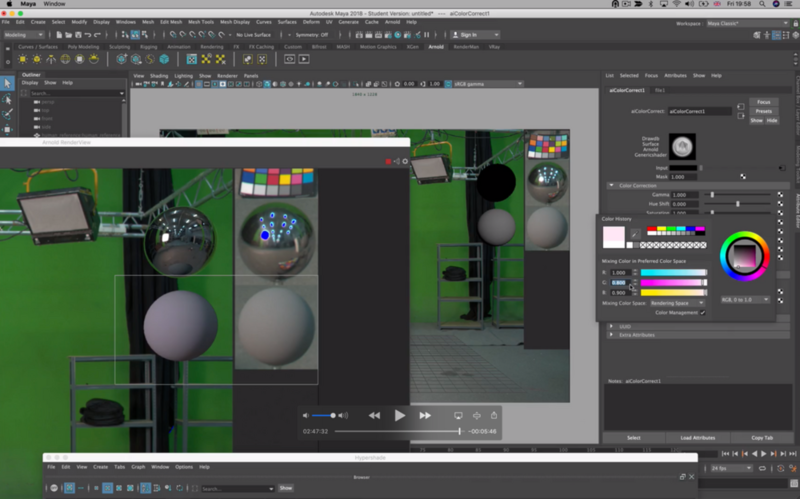 The trick is to turn off your dome light, and create a traditional IBL setup using a sphere and direct lights, or pluging your hdri image to the VRay’s environment and turn on the global illumination. Work there on your shaders and then move on to the dome light again. Recently working with V-Ray I discovered that these are the render passes which I use more often. Simple scene, simple asset, simple texture and shading and simple lighting, just to show my render passes and pre-compositing stuff. I’m starting a new work with V-Ray 2.0 for Maya. I never worked before with this render engine, so first things first. One of my first things is create a nice neutral light rig for testing shaders and textures. Setting up linear workflow is one of my priorities at this point. Find below a quick way to set up this. Click on “don’t affect colors” if you want to bake your gamma correction in to the final render. If you don’t click on it you’ll have to correct your gamma in post. No big deal. The linear workflow option is something created for Chaos Group to fix old VRay scenes which don’t use lwf. You shouldn’t use this at all. Click on affect swatches to see color pickers with the gamma applied. Once you are working with gamma applied, you need to correct your color textures. There are two different options to do it. First one: Add a gamma correction node to each color texture node. In this case I’, using gamma 2,2 what means that I need to use a ,0455 value on my gamma node. Second option: Instead of using gamma correction nodes for each color texture node, you can click on the texture node and add a V-Ray attribute to control this. By default all the texture nodes are being read as linear. Change your color textures to be read as sRGB. Click on view as sRGB on the V-Ray buffer, if not you’ll see your renders in the wrong color space. This is the difference between rendering with the option “don’t affect colors” enabled or disabled. As I said, no big deal.